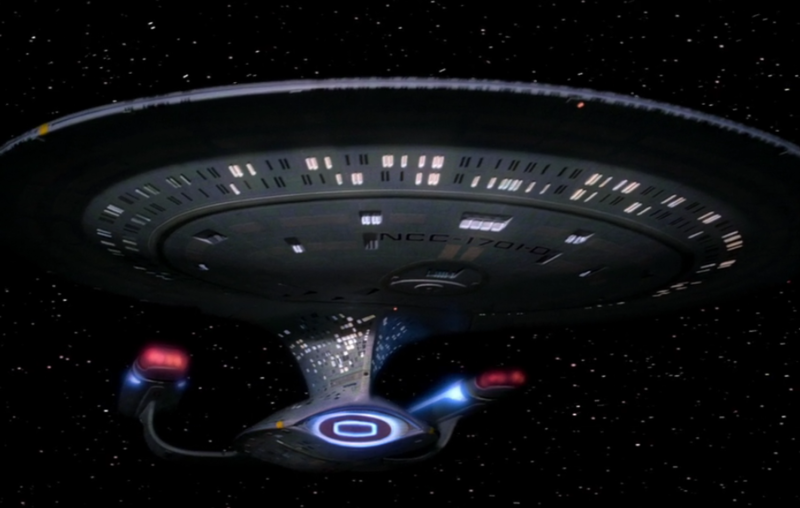 At this point a cultural icon around the world, Star Trek is known for its futuristic tech, its memorable lines and characters, the adventures of the crew, and its noble and optimistic opinion of humanity. But standing quietly in the background of all the Star Trek TV shows and movies is a very radical set of economic assumptions and propositions more relevant to the humanity of the present than futuristic tech like transparent aluminum or even tricorders. The radical economics of Star Trek were recently given thorough treatment in a new book, Trekonomics, by author and nerd Manu Saadia. In the book, Saadia makes a point and distinction of particular interest to those of us working to organize a deeply egalitarian and democratic economy and society. The United Federation of Planets operates without money and without markets, a point referenced repeatedly by the crew members. The Federation is, in Saadia’s words, “post-economic”, his preferred way of characterizing their post-scarcity society. “Economics is the management of scarcity,” says Saadia. “With Star Trek, at least inside the Federation, you have basically overcome what [John Meynard] Keynes called, ‘The Economic Problem,’ … the allocation of scarce resources.” It’s easy to see how this is possible in a world with replicators capable of synthesizing anything that a Federation citizen might desire. 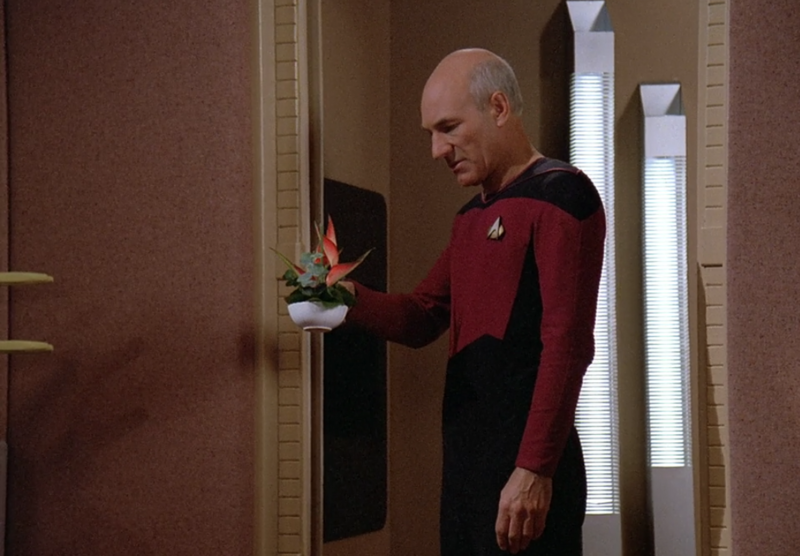 What’s important to note, though, is that replicators were only introduced in Star Trek: The Next Generation. Even in the pre-replicator world of Star Trek (The Original Series) money and the market have been abandoned as barbaric relics from a less civilized and less humanistic era. In Star Trek, the movement beyond economics is presented not as the result of some cornucopia of technological automation but rather as a policy choice… and as a strongly moral policy choice, at that. 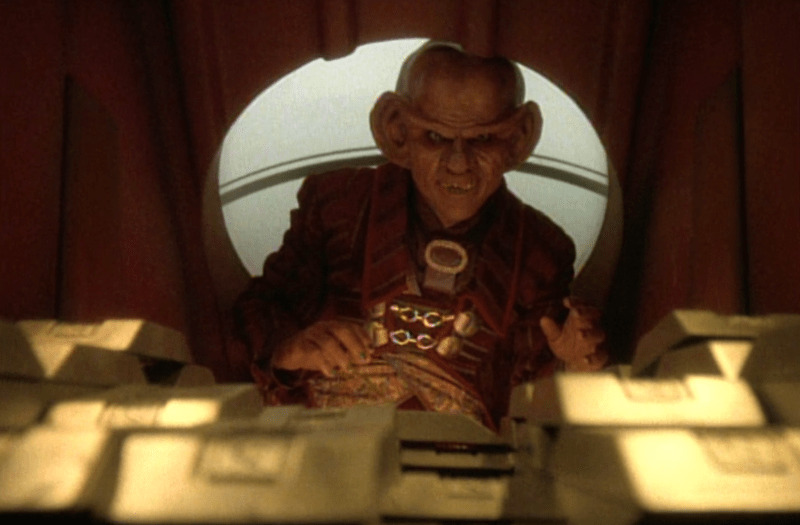 The fact that the Federation’s movement beyond economics is a choice continues to be made throughout the various shows by the existence of technologically comparable societies (epitomized by the Ferengi) where money, the market, and scarcity still obviously exist. The flip side of scarcity is abundance, the state of having enough or more than enough of what everyone needs. It is a utopian material condition that many have dreamed of and sought throughout human history and across political traditions. What is described here in Star Trek are the two general methods of approaching abundance. We might call them demand side abundance and supply side abundance. Supply side abundance is the easier one to imagine and is embodied by the post-replicator Star Trek. The means of production have developed to the point that an infinitesimal amount of human labor is transformed into an infinitude of materials goods. It no longer makes sense to talk about prices when your costs are essentially zero. Without the need to manage scarcity the market fades away as product after product is decommodified. It is the communism described by Marx as the near inevitable result of Capitalism’s drive towards mechanization. Our friends, Las Indias, have done a lot of good work exploring the ways in which this form of abundance is beginning to breach into our world, the challenges it poses to the status quo, and the opportunities it presents to egalitarian communalists (see their by donation ebook The Book of Abundance or The Communard Manifesto). However, as exciting as a dawning age of supply side abundance is, what I find even more exciting is demand side abundance. By this I mean the world of abundance that is already available to us and has been, pretty consistently, for a very long time. As the stone soup story suggests and as Bucky Fuller calculated the existence of scarcity in the world is not a problem of production but a problem of distribution. But when we talk about distribution in this way we’re really talking about something bigger. We’re talking about Demand or how decisions are made and priorities are set not just around who gets the stuff that is produced but about what is produced in the first place and how it is distributed and made available. Like how we, as a species, decide how many Ferraris are produced versus how much malaria medicine. Or how we decide where we pile up food and when it gets thrown out. Or how much to spend on lawyers to fight health insurance claims versus how much to spend on health care. Any number of decisions, really. The idea hinted at by pre-replicator Star Trek, and the idea clearly explored by Ursula K. LeGuin in The Dispossessed, is how a society can choose to create abundance even in a situation with limited resources. That is to say, how a society can choose to make sure that everyone has enough of what they need. The path that LeGuin’s moon anarchists take is the same path taken by our very real and present day Federation of Egalitarian Communities. That path is one that both works to make distribution as efficient as possible (by extensive sharing, intensive cooperation and coordination, and the removal of barriers to access) while at the same time thinking critically about what is needed to live a good life and, as much as possible, finding non-materialist paths to satisfaction and enrichment. This is what makes LeGuin’s anarchists a peaceful and rich people despite living on an isolated desert planet with very scarce resources and it is what makes the communes of the Federation able to provide comfortable, secure, and satisfying lives (of an arguable middle class or upper middle class quality) on sub-poverty level incomes. It is an abundance that is available to all of us right now if we can change the way that we relate to each other and to our economy. 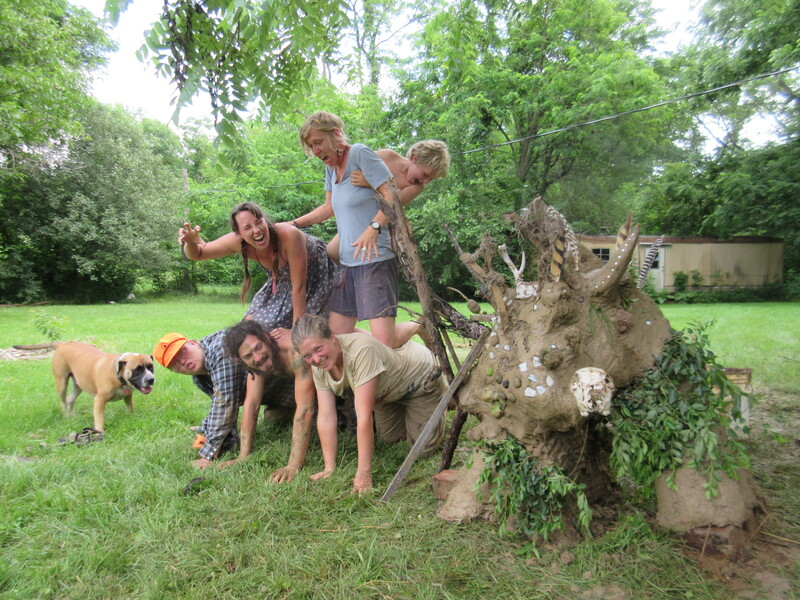 Life at a commune isn’t just work, work, work. Sometimes there are fashion shows. A few nights ago, I combed through the racks of Commie Clothes, fishing out a pile of beautiful dresses and trying them on. It was, in a small way, a dream come true. Many people here cite the internet as how they came to know of Twin Oaks but I don’t know of any that point to our little “thrift store” in the attic as what they were searching for. When I was in high school, a group of my friends started gathering to talk about leftist philosophy and practice. My history class at the time had begun to deeply challenge my political beliefs. As a newly minted socialist, I threw myself into the work, researching works to discuss and planning activities to coordinate. One project the group was interested in was communist models of sharing clothing. When I went to find more information, a blog post about Commie Clothes was one of the first entries to pop up. Commie Clothes are clothes held in common by the community. You can take clothing back to your room and “privatize” it or return it to the public laundry when you’re done. People put clothes they don’t need or want to the public laundry and workers wash and hang them up in the attic of Harmony. When I first read about it, I was sure it could never work. Surely all the useful or beautiful clothing would get privatized and the only clothes left would be more a waste of space more than anything else. But now having seen it in person I can see what I overlooked at sixteen – people are complex and different. The other evening, I pulled out four beautiful dresses all in my style and size. I realized, I couldn’t see many others on the farm vying after them. Our tastes and our shapes vary. Our needs and our desires change. What I want from clothing is largely unique to me. Capitalism creates a narrative of constant competition where none actually exists. So much scarcity we experience is artificial, a product of our cultural morals rather than actual shortages. Creations like Commie Clothes remind me that our resources are often most efficient when they’re held in common. Pants that are too small on me can find a home with someone they flatter perfectly. Dresses that are too big for others slip over my curves like they were made for me. And at no cost to anyone. What started as a dream of seeing Commie Clothes became a passion for communal living and I’m thankful to have fully realized both. I live in an urban community called the Baltimore Free Farm. What does that mean? I gaze over our three row houses and community garden. Chickweed spills over the sides of an herb planter. I think back on my community’s less than intentional start and natural evolution into an intentional community. I am proud of the progress. The memories of our origin still leave a mark on us as we move to a quieter, gentler culture. They represent lessons learned. Life here is complicated and beautiful. For those of us who are new to the intentional community movement, an intentional community is a residential group brought together by a shared vision. Many would argue that intentional communities are as old as humanity. They come in all shapes and sizes. They form around a variety of ideals from religious ones to secular political ones. Of course, here I am most interested secular egalitarian communities. These are communities that structure themselves to encourage even distributions of power and greater inclusivity. This is done by adopting democratic or consensus based decision making structures to include the widest number of voices possible. Many communities adopt partial or full income sharing to equalize income generating and important non-income generating work. They strive to be living, working examples of a need-based economy. Many communities come together around a variety of issues. Some focus on food access, sustainability, or a combination. Others focus on issues around gender, relationship, racial, physical, neurological, or other forms of diversity. 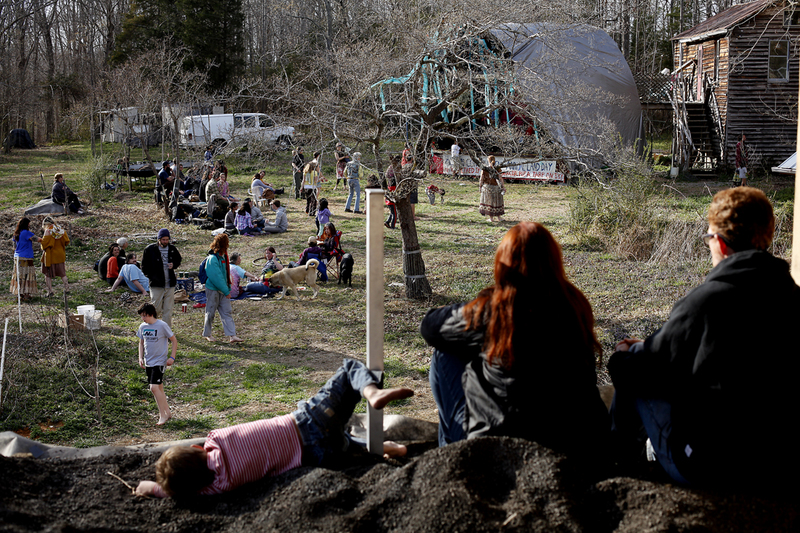 There are even communes that focus on helping other communes build themselves. Whether the idea is new or old, I find it helpful to remind myself what draws me to this way of living. I like to compare a commune to a very well thought out art piece. Like an art piece, an intentional community presents a possibility; a fresh perspective. Here is a little living example of how a truly egalitarian world would look. Here is proof that it is possible. Here is an example of the many ways we can organize ourselves in an egalitarian manner. There are sustainable farms and small urban gardens. There are even nomadic cyberpunk communes. What new forms could a commune take? How many other possibilities are there? There are, of course, the struggles we all go through as well. Conflict can develop between members even in the most carefully constructed systems. As much as we try to prevent it, there will occasionally be members who attempt to dominate others. We can receive criticism from other activists about our involvement in other forms of activism and our perceived or real inclusiveness. Money and other resources can become tight. Legal problems can develop. Communards are not immune to the range of human experience of birth, death, love, loss and the like. People have stilled end up hurt, sad, and lonely. We are far from perfect. It is important to remember that perfection is not the goal. Progress is. The troubles of the outside world still loom in the distance. Police and military machines still spread violence. Prisons still overflow. Capitalism still pits us against each other. Power is still concentrated in the hands of the elite. Revolution after revolution replaces one dictator with another. Climate change is still underway. Local and national laws can change for the better or worse. The homeless still starve on the streets just for making the wrong mistake at the wrong time. Bigotry and hatred still exist. Violence still exists in its many forms. Inequality is still rampant and institutionalized. As challenging as life can be, I cannot help but still feel hopeful for the many new communities springing up globally. Each one contributes to this movement meaningfully. The urban communities are clearly visible in the wider community. The rural communities provide models for sustainable agriculture. Old communities show successful approaches to common problems. New communities represent fresh possibilities. Let’s keep supporting each other until we no longer can. Let’s keep expanding until it is no longer possible. Let’s keep working on ourselves until there is no one left. Even if the world is doomed, let’s keep trying until the end.